At Energy Matters we are committed to seeing Australia become a “Solar Nation”. For this to take place, renewable energy equipment must be affordable, of the highest quality and easily accessible to homeowners, schools, community groups and business. We not only provide the products to create a renewable future, but the expert services to build it and the education to support it. We use industry best equipment and adopt a best practice policy for design and installation. This is our solar philosophy. We walk (and ride) the talk! We have a genuine passion for what we do, and as one of the industry leaders, it shows. Everyone at Energy Matters is committed to creating access to clean, green and affordable energy. With a huge network of renewable energy experts, Energy Matters’ team is the key to our success in supplying the industry’s finest products and service. Partnering with Energy Matters creates an clean energy solution that is friendly to both the environment and business. Installing solar power on a commercial or community property builds a positive image among stakeholders and demonstrates a solid commitment to practice a more sustainable way of life. 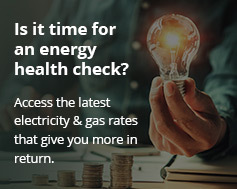 Energy Matters is a renewable energy provider for all Australians. Our mission is to be the best solar supply and installation company in Australia for medium scale and residential systems; continually striving to maintain excellence in components, installation and superior customer service. Australia’s environment is unique and fragile. Energy Matters strives to preserve it for future generations. Our ultimate vision is of a country powered entirely by renewable energy. 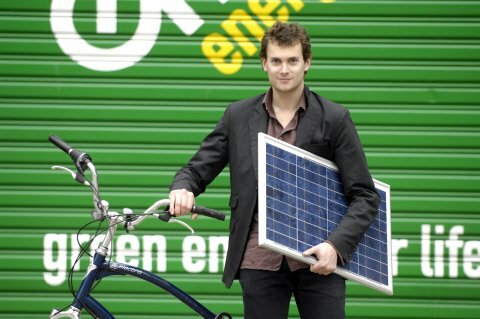 We don’t just sell solar power equipment – we use it! We installed several systems on the roof or our head office in Melbourne and this is shows our commitment to our solar philosophy. 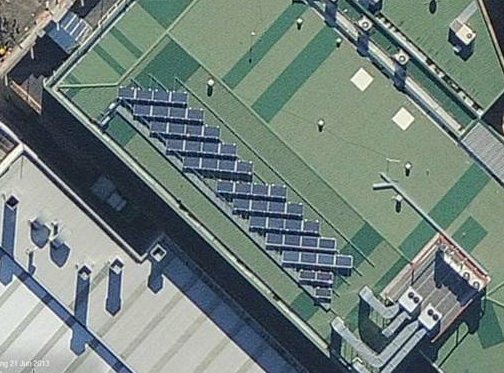 The rooftop of our Melbourne store – yes, we’re solar powered too! Participating in a show about electric and solar powered boats at the Maritime College of Australia. This was part of a challenge in which university students worked on designing an electric boat that is solar powered to do a full length of the Tamer River and return (100km trip). Our staff also conducted training of laboratory technicians and teaching staff to enable them to train children in the classroom. 30-40 technical teachers attended this course from all across Tasmania. Participants were trained on how solar modules work and how they can use that information to demonstrate applications to kids (solar cars, solar boats and other types of experimental construction in classrooms). If your school in interested in our pro solar philosophy and in educational materials or sessions on renewable energy, please contact us. We’re also very active in a variety of industries, helping to educate key decision makers and tradespeople on green energy topics. For example, we delivered educational talks on renewable energy for management and technicians of an electrical retailer, Aurora Energy. We also delivered a presentation on installation of solar power systems onto residential buildings for the Architectural Institute of Tasmania that was attended by council building inspectors and architects. We realize that solar power alone will not save the planet from climate change. Energy Matters embarked on a tree planting initiative to assist communities in other countries address issues of deforestation, while helping to reduce carbon dioxide emissions.